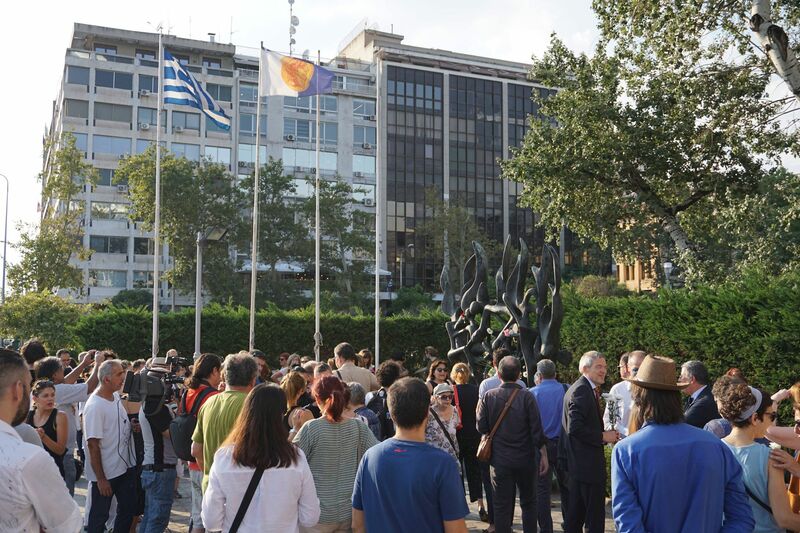 Peaceful event against recent nationalist incidents was made by anonymous activists and spread around Facebook like lightning strike inviting people to become united against radicals, far-right and antisemitic attitudes. 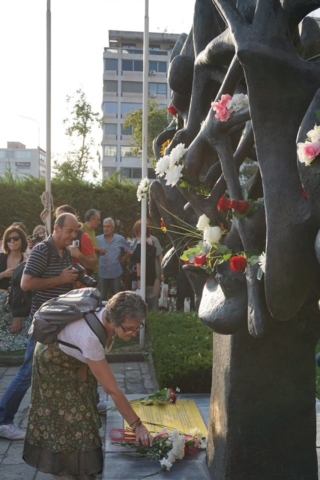 As a result, more than a thousand people click ‘attended’ button on the Facebook event, however, approximately one hundred people had enough courage to come. 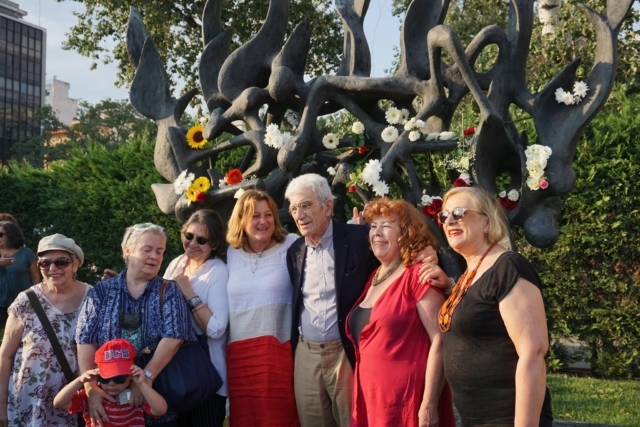 Yannis Boutaris, the mayor of Thessaloniki, took part in an event with municipality’s administration. 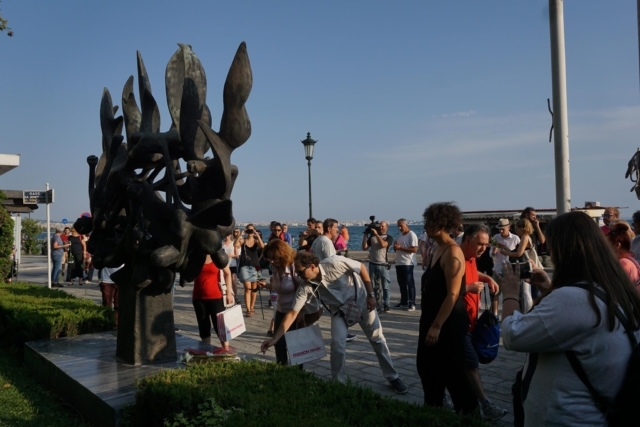 Also, members of the Jewish community, families with kids, elders and young activists came with flowers in their hands to pay regard to 50 000 Jews of Thessaloniki who were forced to end their lives in Nazi camps during War World II. 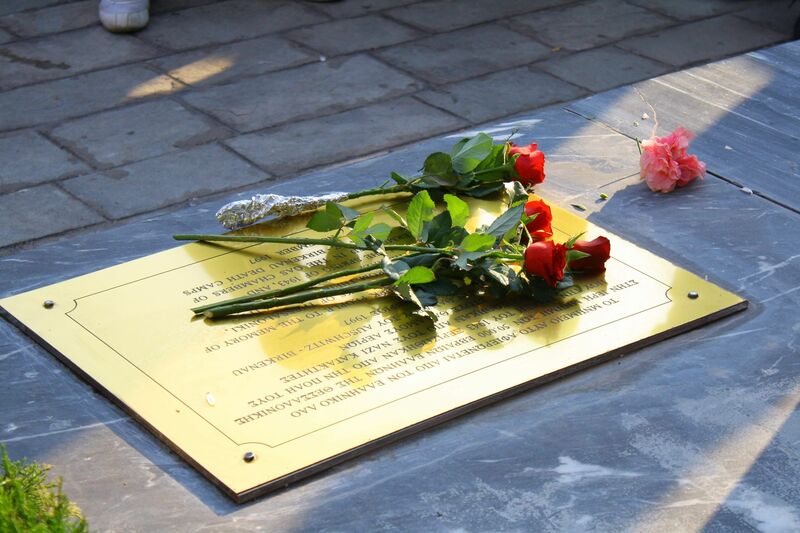 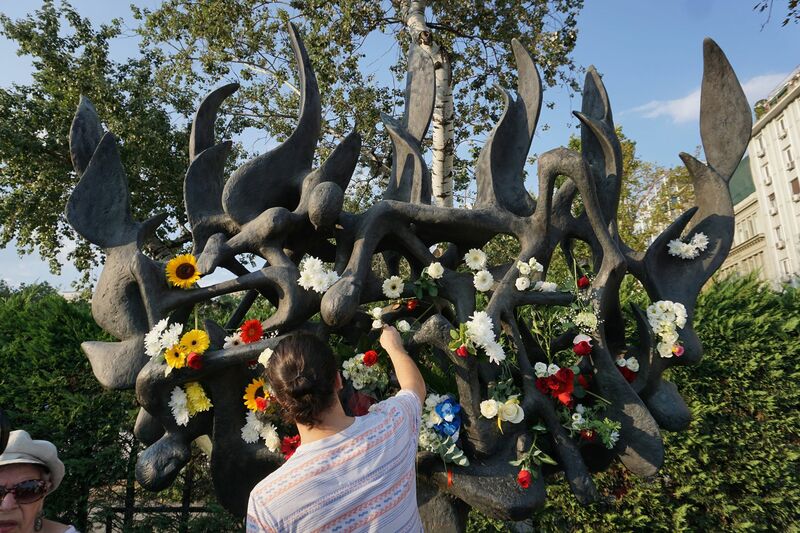 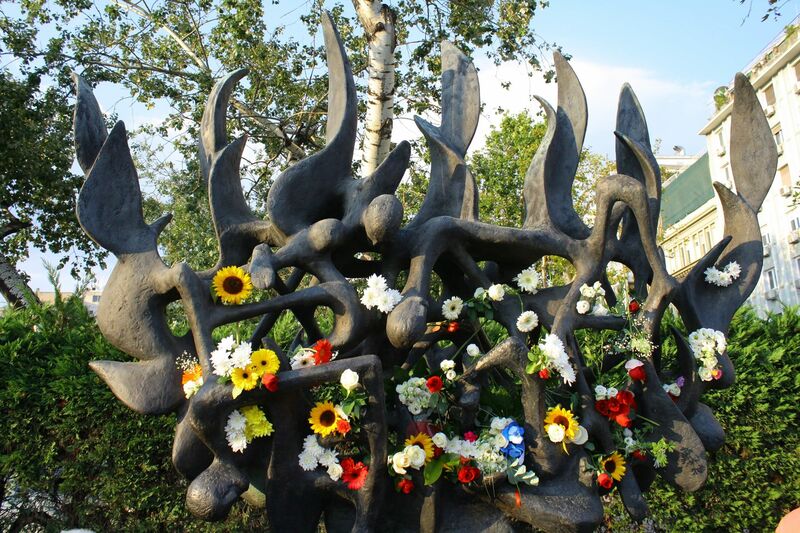 The Holocaust Memorial sculpture is linked to the shape of flames and metallic composition of human figures; after decorating it with red and white flowers it became a blossoming monument for peace.